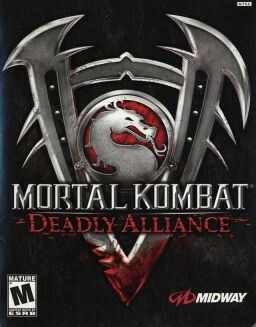 Mortal Kombat: Deadly Alliance is a fighting video game developed and published by Midway for the Xbox, PlayStation 2, GameCube, and Game Boy Advance. It was the first all-new Mortal Kombat fighting game produced exclusively for home consoles, with no preceding arcade release. Deadly Alliance is chronologically the fifth main game in the Mortal Kombat series. Its story focuses on the titular alliance between sorcerers Quan Chi and Shang Tsung and their schemes to revive an ancient army to conquer Outworld and Earthrealm. Two different Game Boy Advance games based on Deadly Alliance were released. 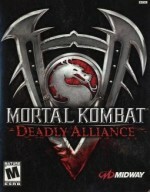 The first version, also titled Mortal Kombat: Deadly Alliance was released on November 20, 2002, during the same week as the home console versions, while the second GBA version, Mortal Kombat: Tournament Edition (originally titled Mortal Kombat: Deadly Revenge, which was printed in the manual), was released on August 25, 2003.